Data found that the majority of people across Britain were positive about immigration. Report: Leave voters more likely to have negative views (file pic). 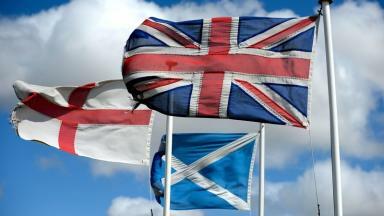 Scots' views on immigration mirror those of English and Welsh voters, researchers have found. The new data is part of the English and Welsh and Scottish attitudes towards immigration report produced by the National Centre for Social Research (NatCen) and published on Thursday. It found that the majority of people in Scotland and both England and Wales were more positive about immigration than negative. In Scotland, 46% viewed immigration as good for Britain's economy, while 43% of Scots felt it enriched the country's culture. By political party supported, SNP voters are more positive about the effects of immigration compared to supporters of other parties. The survey found 57% of supporters of Nicola Sturgeon's party thought immigration had enriched British culture and 59% believed it benefited the economy. Scottish supporters of other parties were less positive, with the figures dropping to 43% and 46% respectively. The survey also revealed that those who identified more strongly as being English rather than British had the least favourable attitudes to immigration. A total of 43% of respondents who identified as English said immigration was bad for the economy while 32% said it had undermined British culture. He added: "The more English people felt, the more negative their view on immigration. "The more strongly that someone feels English relative to their sense of being British, the more likely they are to believe that immigration has undermined Britain's culture, and the less likely they are to indicate that immigration has enriched that culture." Noting the less positive views held by non-SNP supporting Scots, he added: "Although the balance of opinion about migration is much the same in Scotland as in the rest of Britain, the link between attitudes towards the subject and how people vote at election time is somewhat different north of the border."